Mercedes-Benz ApprovedTires are measured against up to 50 parameters in the laboratory, on the test bench, on the track and at Autobahn speeds. 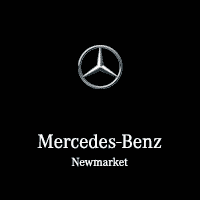 They are only given Mercedes Original (MO) or MOExtended (MOE) designations after passing stringent tests related to handling, snow and wet road traction, noise and tread wear. Tires carrying these seals are the only ones that have been approved for optimal safety and performance, and have been specially designed for your Mercedes-Benz vehicle. The right ApprovedTires for your vehicle are available through our Parts Department. Please speak with your Parts Advisor or click here to find the perfect tires for your vehicle.